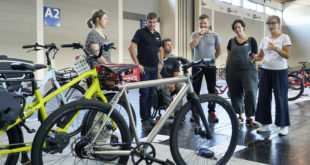 Last week BikeBiz released an article on Cycling UK’s Too Close for Comfort Kickstarter campaign. It has now been revealed that the fundraiser met and exceeded its intended target of £12,000 in less than 48 hours. The campaign – which was launched on the morning of Thursday, March 9th – met its target with the aid of 798 backers at 5:25pm on Friday, March 10th. The money will now go towards making roads safer for vulnerable road users and putting an end to the close overtaking of cyclists by drivers. Last September West Midlands Traffic Police launched its road safety titled Give Space, Be Safe by sending out plain clothed police officers on bikes. This operation targeted drivers that overtook cyclists too closely. Using a safe pass mat that costs over £800, WMP then demonstrated to these drivers how to overtake vulnerable road users safely. A 50 per cent reduction in reported close-pass offences was recorded in the first three months. Recognising the benefits of WMP’s operation on a local level, Cycling UK wanted to see the benefits spread across the whole of the UK. 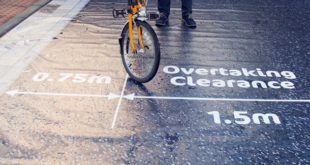 By buying the close pass mats in bulk, Cycling UK realised that it would be able to save across all the UK’s forces a total of £28,000. It launched a crowdsourced fundraising campaign via the Kickstarter web platform to raise £12,000. 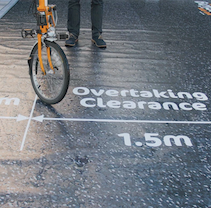 Cycling UK will now begin production of 50 close pass mats and will aim to roll them out to each force operating in England, Northern Ireland, Scotland and Wales in April. Cycling UK has heard from several forces and local authorities which have shown their interest and appreciation for having mats provided. Chief executive of Cycling UK Paul Tuohy said: “Cycling UK launched Too Close for Comfort with the specific aim of helping out our cash-strapped forces to make our roads that little bit safer for cycling. One of the WMP officers behind the original Give Space, Be Safe operation, PC Mark Hodson said: "Our Give Space, Be Safe’ sprang from the need of addressing one of the number one threats to our most vulnerable road users, close passes, and helped change dangerous driving behaviour from the start. 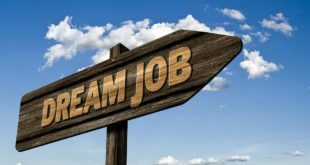 “It’s satisfying to know that it’s a job well done on your home patch, but great to know this could happen nationwide. I hope every other police force will take advantage of this opportunity that Cycling UK and their backers created and put an end to close passing for good. He added: “The long and short of it is that drivers who pose the greatest threat of harm on our roads need to get their house in order, or we’ll do it for them." A spokesperson from Gloucestershire Road Safety Partnership concluded: “Gloucestershire Police and the Road Safety Partnership are delighted to be supporting Cycling UK’s clever and imaginative Close-Pass Free Matt Scheme. “We know how easily a simple mistake like passing too close to a cyclist can either end up putting off a rider or much worse end in tragedy. So we are determined to raise the responsibility we all have in sharing the road safely with everybody else, whether they’re in another car or on a bike.